The Model 2300 is built in standard widths of 37″ and 43″ wide with up to three, planing and sanding heads. Top and bottom systems are also available built to order for specific applications. The 2300 is built with up to 30 HP on the planing/sanding heads. 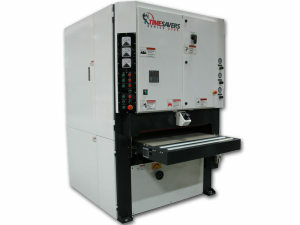 The Model 3300 is built in standard widths of 37″, 52″ and 64″ wide with up to five planing and sanding heads. Top and bottom systems are also available built to order for specific applications. The 3300 is built with up to 75 HP motors on the planing/sanding heads. 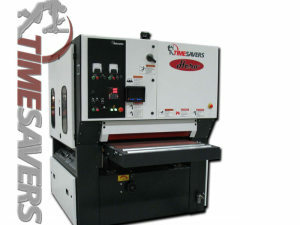 The HERO is built in standard widths of 37″, 52″ and 64″ wide with up to five planing and sanding heads. Top and bottom systems are also available built to order for specific applications. 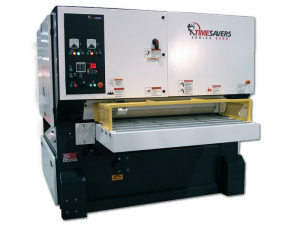 Timesavers has reinvented the conventional rough lumber planer. 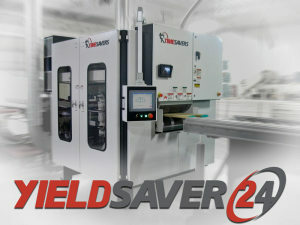 The YIELDSAVER-24 is a top and bottom knife planer with the added capability to automatically center each board as it is being processed. This new planer has a compact design with a smaller footprint than any other rough mill planer.